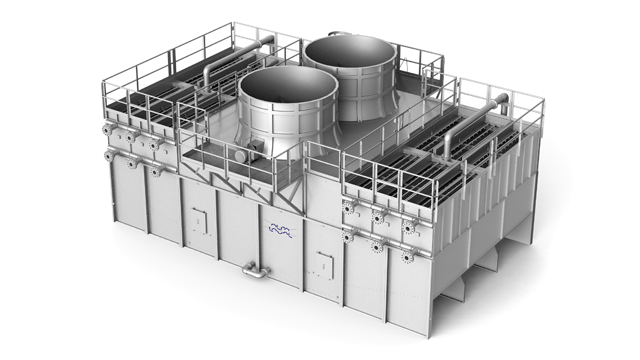 Alfa Laval Niagara Wet Surface Air Coolers (WSAC®) are custom built, closed-loop cooling and condensing systems that combine high performance, low operating costs, compact size and reliable operation. Renowned for their robust design and high efficiency, Alfa Laval Niagara WSACs are used in a large number of demanding industries. Their low water consumption and high cooling capacity have made them a popular choice in applications where low temperatures are required for process improvements. 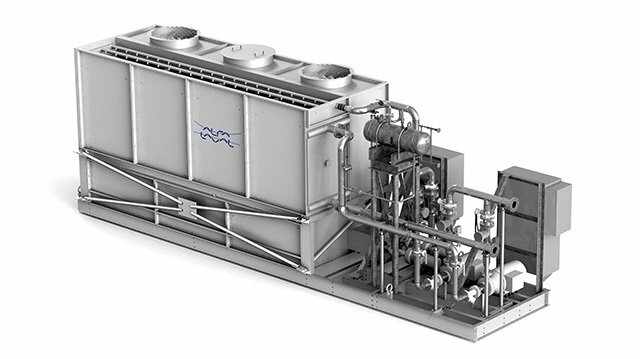 Alfa Laval Niagara WSAC systems are engineered-to-order, closed-loop cooling and condensing systems. Thanks to Alfa Laval’s WetSurface technology, these units provide maximum cooling in a compact unit and use a minimum of water and electric power. The robust and simple design brings stable thermal performance and low maintenance requirements. An Alfa Laval Niagara WSAC is a closed loop system, meaning there is no risk of contaminants entering the process stream. Our WSAC systems can be fully customized to your requirements, for example they can be designed to withstand corrosive media, cool several process streams in parallel or with the ability to run in both dry-cooling and wet-cooling mode. Optimizing your cooling processes is a straightforward way to improve sustainability – both in business and environmental terms. With the right equipment you maximize cooling performance and energy efficiency, while keeping water consumption and service costs low. Check out our brochure to find out how we can help you improve your cooling operations. Alfa Laval Niagara WSACs are engineered to meet heavy-duty industrial requirements and standards. They can sustain pressures up to 2500 psi and be designed to meet ASME, TEMA, PED and API specifications. All materials in contact with the process stream can have full ASME material certification if required. The units are fireproof and can be constructed for use in Ex environments. The tubes can be either straight or serpentine shaped. Straight tubes are the preferred choice for fouling process media and when a low pressure drop is required. The piping can be arranged and valved so that any tube bundle can be taken out of service for maintenance while the unit is in operation. As standard, all components are made of hot-dip galvanized steel with excellent resistance to corrosion. For applications with corrosive media, the tube bundles can be delivered in a variety of materials, for example different grades of stainless steel, super duplex and titanium. All Alfa Laval Niagara WSAC systems are unique and custom designed to fit the exact requirements of their intended duties. This includes inlet and outlet temperatures, ambient conditions, flow rate, presence of corrosive media, required pressure drop, etc. Redundancy can be built into the units in order to minimize or eliminate downtime for maintenance. This can include components such as spare fans, spray pumps and even tube bundles. 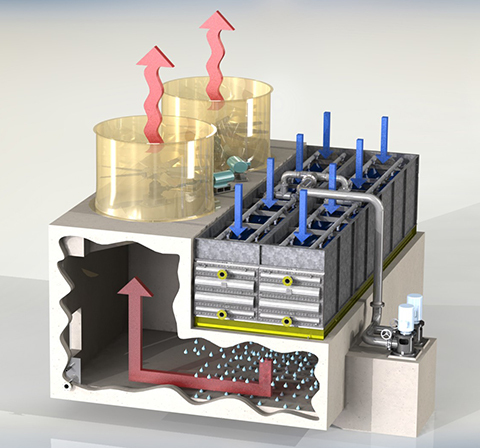 The units can also be designed to cool several separate process streams independently. The packaged systems are skidded, pre-piped and pre-wired units, complete with control cabinets. These factory-tested, plug-and-play units ensure a fast and easy installation, and keep the associated installation costs low. Our modular systems are ideal where cooling capacity needs to be expanded simply and efficiently. These medium sized WSACs have casings made of heavy-gauge steel and are delivered in pre-fabricated modules that are easily assembled on site. Our largest systems are field erected. The basin is made of concrete and the overlying structure can be made of either fibre reinforced plastics (FRP) or concrete. A field-erected system is comprised of custom-designed tube bundles, which provide optimum maintainability over the lifetime of the system. A field-erected WSAC system offers the lowest total cost of ownership for duties where high-capacity cooling/condensing is required. WSAC systems produce the coldest possible process outlet temperature compared to other technologies. Other WSAC advantages are shown in the following table. Alfa Laval Niagara An Alfa Laval Niagara WSAC can be used for liquid and gas cooling, as well as condensing duties. The WetSurface technology used in a WSAC system is based on evaporative cooling. The hot process medium flows through prime surface tube bundles that are sprayed with water. The heat causes the water to evaporate and the vapour is removed by fans that draw cool air over the tubes. The water that does not evaporate is collected in a basin and is reused as spray water. The same cooling water can be reused 6-10 times, depending on water quality. Next, the air/water vapour stream is forced to make a 180° turn, which effectively removes free water droplets and minimizes drift. An Alfa Laval Niagara WSAC is a closed loop system, meaning there is no risk of contaminants entering the process stream. For liquid cooling the maximum inlet temperature is 82°C (180°F). For single phase gas cooling the maximum inlet temperature is 232°C (450°F). For vapour condensing the maximum inlet temperature is 82°C (180°F). See how Alfa Laval Niagara WSAC cooling systems help increase cooling in a range of industries while reducing fresh water consumption through reuse of poor-quality water. 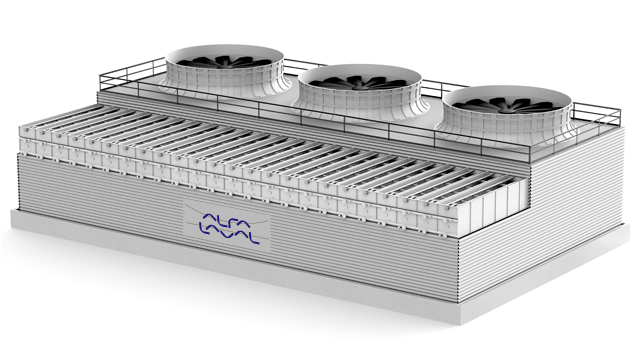 Discover how an Alfa Laval Niagara WSAC can improve cooling capacity and reduce fresh water consumption in an existing power plant by recycling blowdown from a cooling tower. Learn how a US midstream gas company increased production by 25-30% by improving cooling capacity with an Alfa Laval Niagara WSAC. The payback time was less than a year. Maximum cooling efficiency and lowest possible output temperature. A WSAC can operate on recycled water of low quality such as blowdown water. Combined wet and dry bulb cooling for minimized water consumption. We will be happy to discuss the benefits a Wet Surface Air Cooler (WSAC) can bring you and show you how we can help improve your operation. Stay tuned to our LinkedIn page for the latest news on Alfa Laval Niagara Wet Surface Air Coolers.